Bis-(L-tyrosinato)copper(II) was reacted with 3-(chloropropyl)-trimethoxysilane functionalized silica that has infused magnetite to yield a magnetically separable catalyst in which the copper carboxylate is covalently linked to the silica matrix through the silane linkage. The immobilized catalyst has been characterized by spectroscopic studies (such as FT-IR, EPR, Magnetic Measurement, SEM) and chemical analyses. The immobilized catalytic system functions as an efficient heterogeneous catalyst for oxidation of cyclohexene, toluene and ethyl benzene in the presence of hydrogen peroxide (as an oxidant) and sodium bicarbonate (a co-catalyst). The reaction conditions have been optimized for solvent, temperature and amount of oxidant and catalyst. Comparison of the encapsulated catalyst with the corresponding homogeneous catalyst showed that the heterogeneous catalyst had higher activity and selectivity than the homogeneous catalyst. The immobilized catalyst could be readily recovered from the reaction mixture by using a simple magnet, and reused up to five times without any loss of activity. The allylic oxidation of olefins is an important reaction for the industrial production of alcohols, which comprise a class of intermediates for synthesis of fine chemicals. Attention has focused on catalytic systems based on clean oxidants and readily recyclable heterogeneous catalysts, particularly those having a metal-organic component that is covalently attached to a functionalized support. Recently, the catalytic oxidation of hydrocarbons employing transition metal complexes in the presence of H2O2 have been developed. Among them, copper complexes have attracted much attention[2-3]. If the resulting material can be prepared in a nano-size form, the catalyst-on-support system would have a large surface area. The support can also incorporate a magnetic material; the resulting magnetic nanoparticles could further be coated by silica. Silica itself has high chemical stability; moreover, it can be further functionalized by organosilanes (to yield modified surfaces). Magnetically recoverable materials have been used in a wide range of catalytic reactions for an obvious reason that these can be recovered by using a simple magnet. In continuation of our previous work on the oxidation of organic substrates by transition metal complexes[7-9], we report bis-(L-tyrosinato)copper(II), that is covalently bonded to a silica matrix treated with 3-(chloropropyl) trimethoxysilane; the silica matrix also has embedded magnetite. Chemicals were purchased from Merck. The concentration of 30% hydrogen peroxide (10.9 M) was determined by titration with potassium permanganate. Elemental analyses were determined on a CHN Perkin-Elmer 2400 analyzer. FTIR spectra were recorded as KBr pellets on a Perkin-Elmer model 597 FTIR spectrometer. XRD patterns were recorded on a Philips PW1130 powder diffractometer equipped with copper radiation (λ 1.54 Å). X-band EPR spectra were recorded on a Jeol JES-FA 200S spectrometer. Magnetic measurements were performed on MPMS XL7 magnetometer. Metal contents were determined by atomic absorption spectroscopy. Scanning electron micrographs were taken on a MIRA3FE6 SEM instrument. The products of the oxidation were analyzed by an HP Agilent 6890 gas chromatograph equipped with a HP-5 capillary column (phenylmethylsiloxane 30 m × 320 μm × 0.25 μm) equipped with a flame-ionization detector. Bis-(L-tyrosinato)copper(II), was synthesized according to a reported procedure[10-11]and its identity was confirmed by CH&N elemental analysis. Calcd. : C, 50.96; H, 4.759; N, 6.61%. Found: C, 50.41; H, 4.6; N, 6.80%. FTIR: 3310 (m) ν(N-H), 3293 (br), 3152 (w), 2933 (w), 1605 (vs) (νas(COO)), 1581 (vs) (νbending(N-H)), 1514 (s), 1441 and 1406 (w) (νs(COO)), 1355 (m), 1248 (m), 1093 (s), 993 (w), 819 (s), 747 (w), 671 (m), 617 (s), 542 (m) ν(Cu-O), 434 (m) ν(Cu-N), 417 (w) cm-1. Magnetite Fe3O4 nanoparticles were prepared according to a reported procedure and were characterized by the FTIR band at 586 (vs) cm-1. Silica-coated magnetite nanoparticles, denoted by Fe3O4@SiO2, were prepared according to a literature method and were characterized by FTIR bands: 3437 (br, O-H), 1110 (vs), 963 (w), 809 (w), 591 (s), 482 (m), 434 (w) cm-1. The Fe3O4@SiO2 nanoparticles were functionalized with 3-(chloropropyl) trimethoxysilane (CPTMS) to give a material, denoted by Fe3O4@SiO2/CPTMS, according to a reported procedure; CPTMS loading was 0.65 mmol g-1 MNP silica gel. Fe3O4@SiO2/CPTMS (0.25 g) and [Cu(tyr)2]n (0.04 g) were heated in dichloromethane for 24 h. The solid product was collected and suspended in dichloromethane for 4 hours in order to eliminate any excess copper salt adsorbed on the support (Scheme 1). The black material, Fe3O4@SiO2/[Cu(tyr)2]n, was dried and then characterized by CHN analysis, scanning electron microscopy, atomic absorption spectroscopy, infrared spectroscopy, vibrating sample magnetometry and electron spin paramagnetic resonance spectroscopy. The copper ion loading was estimated to be 0.30 mmol g-1 MNP silica gel. FTIR: 3433 (br, w), 1619 (s), 1590 (s), 1520 (w), 1467 (w), 1446 (m), 1120 (vbr, vs), 960 (m), 808 (m), 581 (s), 484 (s) cm-1. The oxidation of hydrocarbons was carried out at 60 ± 1 ºC, with acetonitrile as a solvent and aqueous 30% hydrogen peroxide (10.9 M) as oxidant. In a typical experiment, Fe3O4@SiO2/CPTMS/[Cu(tyr)2]n (0.0023 mmol), cyclohexene (1.0 mmol) and acetonitrile (2.0 ml) were heated in a 25-mL flask. Hydrogen peroxide was added and the reaction solution was analyzed by gas chromatography at regular intervals. The oxidation products were identified by comparing of their retention times with those of authentic samples. Yields are based on the added substrate. [Cu(tyr)2]n adopts a chain structure; the copper atom is N,O-chelated by the amino acid residue, and adjacent molecules are carboxylate bridged into a helical chain. In the reaction of [Cu(tyr)2]n with Fe3O4@SiO2/CPTMS, aromatic ring is connected to the CPTMS entity through an ether linkage so that the copper entity is grafted onto the silica matrix. The IR spectra of Fe3O4@SiO2/CPTMS and Fe3O4@SiO2/CPTMS/[Cu(tyr)2]n feature bands characteristic of the silica matrix (Fig. 1), with the 482, 963 and 1110 cm-1 bands assigned to δ(Si-O-Si), ν(Si-OH) and νas(Si-O-Si) vibrations. The IR spectrum of Fe3O4@SiO2/CPTMS/Cu(tyr)2 shows carbonyl bands (1590 and 1446 cm-1) as well as bands originating from the silica matrix (484, 960 and 1120 cm-1) as well as bands from the magnetite component (581 cm-1). As the broad band in the 3500-3400 cm-1 range is characteristic of the O-H vibration of the SiO-H groups, the IR spectrum is consistent with the immobilization of the bis-(L-tyrosinato)copper(II) onto Fe3O4@SiO2/CPTMS nanoparticles. The EPR spectrum of Fe3O4 is a band with a line width. The EPR spectrum of bis-(L-tyrosinato)copper(II) consists of a poorly resolved anisotropic signal with g(‖) = ca. 2.2 and g (┴) = ca. 2.09; the spectrum is interpreted in terms of the electronic configuration (S = ½) of the d(x2-y2) ground state for a square-pyramidal geometry. A similar EPR spectrum was observed for Fe3O4@SiO2/ CPTMS/[Cu(tyr)2]n. No EPR signal that can be assigned to an isolated copper ion (I = 3/2) was observed, probably arising from the presence of paramagnetic Fe3O4 species. Possibly, copper atoms are fixed to positions that allow for paramagnetic interaction of iron Fe3O4 (Fig. 2). The Fe3O4@SiO2/CPTMS/[Cu(tyr)2]n nanoparticles are spheres having diameters of 46 nm diameters, as noted from the SEM images (Fig. 3). Although the Fe3O4@SiO2/CPTMS/[Cu(tyr)2]n are largest, the uneven surfaces is an advantage as they offer more sites for adsorption, and would then confer higher catalytic activity. The mass saturation magnetization of Fe3O4, Fe3O4@SiO2 and Fe3O4@SiO2/CPTMS/[Cu(tyr)2]n, as calculated by the M vs. H plots (Fig. 4), are 66.11, 47.76 and 31.49 emu g-1. The increase in mass of the monolayer which was nonmagnetic on them, non-magnetic silica shell and functionalized groups, may be reduced saturation magnetization . This can be interpreted either by the being of dead magnetic layer originated by the demagnetization of the surface spins  or disordered spin structure at the surface [19-20]. At last, although the value is decreased, the specimens could still be efficiently separated from a solution medium using a simple permanent magnet. With Fe3O4@SiO2/CPTMS/[Cu(tyr)2]n as catalyst in oxidation of cyclohexene to 2-cyclohexene-1-ol, oxidation did not take place in the absence of hydrogen peroxide. Without the catalyst, the oxidation is completed by only 8% after 24 h . Also, in the presence of matrix (MNPs (0.0023 mmol) and MNP@SiO2 (0.0023 mmol)) as a catalyst, the oxidation preceded by up to 23%  and 0%4 after 24 h, respectively. Fig. 1. FTIR spectra of the: a) Fe3O4,, b) Fe3O4@SiO2/CPTMS, c) Fe3O4@SiO2/CPTMS/Cu(tyr)2, and d) recycled Fe3O4@SiO2/CPTMS/[Cu(tyr)2]n.
Fig. 2. EPR spectra of blue line) Fe3O4, black line) Cu(tyr)2 and pink line) Fe3O4@SiO2/CPTMS/[Cu(tyr)2]n.
Fig. 3. SEM images of Fe3O4@SiO2/CPTMS/Cu(tyr)2. Fig. 4. Hysteresis loops of a) Fe3O4, b) Fe3O4@SiO2, c) Fe3O4@ iO2/CPTMS/[Cu(tyr)2]n.
The conversion increased with an increase in the amount of hydrogen peroxide (Table 1). The oxidation was also affected by the nature of the solvent (Table 2). The difference is explained by the ready miscibility of acetonitrile with water whereas n-hexane is immiscible. When the temperature is increased (from 40-80 °C), the conversion correspondingly increased (from 48% to 86%). However, a further increase in temperature led to a lower conversion because higher temperatures facilitate the decomposition of hydrogen peroxide . Similarly, the selectivity to 2-cyclohexene-1-ol was increased with increasing temperature, while it decreased at higher temperatures. The low conversion (13%) with 13 × 10-4 mmol catalyst, together with the high conversion (86%) with 23 × 10-4 mmol catalyst, is directly related to the number of catalytic sites. Beyond the threshold, a larger quantity resulted in a lower conversion because of adsorption/chemisorption of the two reactants on separate catalyst particles, at which the chance of interaction is reduced . To evaluate the efficiency of the catalyst, our catalyst was compared with those introduced in literature , (as shown in Table 3). The catalyst and applied method in this paper have the advantages in terms of heterogeneous nature, high reusability, high conversions and selectivity of the catalyst. Compared with the earlier reported catalysts, [Cu(tyr)2]n and Fe3O4@SiO2/[Cu(tyr)2]n exhibited superior activity towardoxidation of cyclohexene. Fe3O4-PEI–PW12O40 , [Cu(H4C6N6S2)]-NaY ,[Cu((C6H5)21,4-dieneN2O2)]2+@K10 showed lower catalytic activity in oxidation of cyclohexene. Moreover, the activity of our catalysts, were showed comparable catalytic activity than CoHAP-γ-Fe2O3  in oxidation of cyclohexene. In addition, the catalyst and applied method in this paper have the advantages in terms of heterogeneous nature, high reusability, high conversions and selectivity of the catalyst. Similar conversion rates were found in the oxidations of toluene and ethyl benzene (Table 4). In the ethyl benzene oxidation, the selectivity of catalyst toward acetophenone was higher than that for other products, which may arise from the faster rate of acetophenone production than that of benzaldehyde production, since dehydration is easier than the elimination of methanol . Consequently, the amount of benzoic acid produced is minimal. The heterogeneous catalyst is less active than the analogous homogenous system (Table 4) as the support matrix gives rise to additional problems related to, for example, probable decomposition of hydrogen peroxide . A similar decreased activity was noted for Mn(III) and Mo(IV)-salen complexes immobilized on mesoporous silica gel .However, since the catalyst is intimately combined with magnetite, it can be easily separated on completion of the reaction by magnetic decantation. Furthermore, the catalyst could be reused at least five times without noticeable loss of activity. The catalyst could be reused five times without any perceptible loss of activity, and leaching was not observed in the subsequent runs by ICP-AES analysis, so that no regeneration was required at the end of the reaction . That the catalyst is stable is shown by the similarity of the IR spectrum before and after of the reaction, (Fig. 1d). In the present study, we demonstrate that [Cu(tyr)2]n as homogeneous catalyst and Fe3O4@SiO2/CPTMS/[Cu(tyr)2]n as heterogeneous catalyst both promote oxidation reactions efficiently in association with H2O2 as an oxidant. The oxide yields show that the efficiency of the catalytic system is strongly dependent on the temperature and nature of the solvent. The supported catalyst Fe3O4@SiO2/CPTMS/[Cu(tyr)2]n gave lower activity compared to its homogeneous counterpart. However, the supported catalyst was easily separated from the reaction mixture by the use of a magnet and could be recycled for several catalytic runs, without significant loss of activity. This system could be useful for many other base-catalyzed oxidations. The authors are thankful to the University of Zanjan for support of this study. M. Hudlicky, Oxidations in Organic Chemistry,ACS Monograph Series, American ChemicalSociety, Washington, DC, 1990. 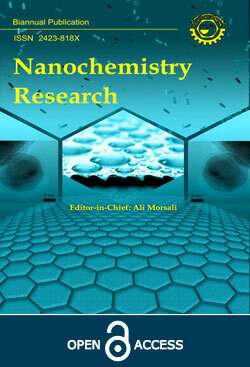 H. Hosseini‐Monfared, S. Alavi, M. Siczek, Chin. J.Catal. 34 (2013) 1456. T.H. Bennur, D. Srinivas, S. Sivasanker, J. Mol.Catal. A 207 (2004) 163. M. Kooti, M. Afshari, Mater. Res. Bull. 47 (2012)3473. C. Sze, C. Gulari, B.G. Demczyk, Mater. Lett. 36(1998) 11. S. Rayati, P. Abdolalian, C. R. Chimie. 16 (2013)814. M. Ghorbanloo, H. Hosseini-Monfared, C. Janiak, J.Mol. Catal. A 345 (2011) 12. M. Ghorbanloo, M. Jaworska, P. Paluch, G.D. Li, L.Zhou, Trans. Metal. Chem. 38 (2013) 511. M. Ghorbanloo, S. Rahmani, H. Yahiro, Trans.Metal. Chem. 38 (2013) 725. A. Wojciechowska, M. Daszkiewicz, A. Bien´ko,Polyhedron 28 (2009) 1481. J. Wang, S. Zheng, Y. Shao, J. Liu, Z. Xu, D. Zhu, J.Colloid. Interface. Sci. 349 (2010) 293. Y.H. Deng, C.C. Wang, J.H. Hu, W.L. Yang, S.K.Fu, Colloid. Surface. A 262 (2005) 87. M.S. Saeedi, S. Tangestaninejad, M. Moghadam, V.Mirkhani, I. Mohammadpoor-Baltork, A.R.Khosropour, Polyhedron 49 (2013) 158. A. Neves, S.M.D. Erthal, L. Vencato, A.S. Ceccato,Y.P. Mascarenhas, O.R. Nascimento, M. Horner,Inorg. Chem. 31 (1992) 4749. I. Dahlan, K.T. Lee, A.H. Kamaruddin, A.R.Mohamed, J. Hazard. Mater. 166 (2009) 1556. G.F. Goya, T.S. Berquo, F.C. Fonseca, M.P. Morales,J. Appl. Phys. 94 (2003) 3520. A.E. Berkowitz, W.J. Schuele, P.J. Flanders, J. Appl.Phys. 39 (1968) 1261. R.H. Kodama, A.E. Berkowitz, E.J. McNiff, F.S.Foner, Phys. Rev. Lett. 77 (1996) 394. J.M.D. Coey, Phys. Rev. Lett. 27 (1971) 1140. K.M. Parida, M. Sahoo, S. Singha, J. Catal. 276(2010) 161. F. Shi, M.K. Tsea, M.M. Pohl, J. Radnik, A.Brückner, S. Zhang, M. Beller, J. Mol. Catal. A 292(2008) 28. S.K. Maiti, S. Dinda, N. Gharah, R. Bhattacharyya,New. J. Chem. 30 (2006) 479. M.R. Maury, P. Saini, C. Haldar, F. Avecilla,Polyhedron 31 (2012) 710. Z. Zhang, F. Zhang, Q. Zhu, W. Zhao, B. Ma, Y.Ding, J. Colloid. Interfac. Sci. 360 (2011) 189. M. Salavati-Niasari, J. Mol. Catal. 283 (2008) 120. M. Salavati-Niasari, E. Zamani, M. Bazarganipour,Appl. Clay. Sci. 38 (2007) 9. Y. Zhang, L. Zhen, W. Sun, C. Xia, Catal. Commun.10 (2008) 237. D. Habibi, A.R. Faraji, Appl. Surf. Sci. 2276 (2013)487. Y.V.S. Rao, D.E. De Vos, T. Bein, P.A. Jacobs,Chem. Commun. (1997) 355. N. Nakayama, S. Tsuchiya, S. Ogawa, J. Mol. Catal.A 277 (2007) 61.